Well it is Saturday and it has come around fast again. I hope you all have had a good week. Apart from work it has been a quiet week for us really, both Matt and Clair are back from their travels and back at it full time. Mizanur is has been enjoying the Eid ul Azha Festival over at his home of Chittagong and the rest of us, Sam John and myself Andi we have just been beavering away in the background. I have to be honest; I did go and help my uncle fit a set of French doors for a few hours. After leaving the building trade 2 over years ago I was reunited with muscles I had forgotten about and have been aching ever since but never mind. I am sure it has done me some good, well so they tell me. As always we have 10 great articles for you to read this week including the extra fun wildcard post at the end. So let’s get into it. Our first article was put forward by Clair and comes from one of our favourite writers and bloggers Ramsay Taplin over at BlogTyrant.com. Today he is talking about VPN’s (Virtual Private Network) and why every blogger and internet marketer should be using one. Simply put it, if you work on your laptop at a hotel, café or anywhere that offers free wifi the people sitting nearby can all access your private details, passwords and credit card details. Using a VPN can protect you and your information. Is it time you thought more about your online security? Both myself and Matt put this post forward, it is good to see that we think alike on some things J This is a post written by Ali Luke over at another excellent blog DailyBlogTips.com owned by serial and successful blogger Daniel Scocco. In this post Ali gives us some inspiration to keep on blogging when times are getting tough. Believe me blogging and writing can be hard and it can take some work. Occassionally you will feel a little deflated and down, it comes with the territory especially if you have not yet hit the success you were hoping for or planning. Ali gives us 7 excellent reasons why to keep on at it. If you are struggling at the moment then pop over and take a read. 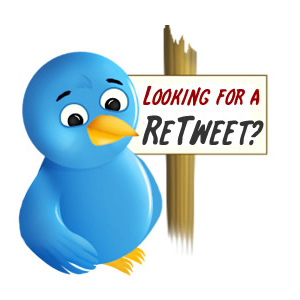 Here is an excellent post by Stephen Hill over at Tweetingz.co.uk. Blogging is about being social and sharing is a major part. When your content is good it will be shared but even if it doesn’t that doesn’t mean your content is poor, it could be read by people who has a huge social network of friends who are not interested in that very same topic. For example, I come from a small town and my circle of friends consist mainly of people who were not really into the same music as me and who didn’t enjoy the kind of clubs I went to so whenever I hear a piece of music that I love but know my friends are not going to appreciate I probably won’t share it and that has nothing to do with the quality of the music or musician. So if you are unsure whether your blog posts are under performing or performing perfectly then this article will help you clear up any confusion and might even advise you to do something that you were not yet doing. This is an excellent post written by Nicolette Beard over at TopRankBlog. This is one of Matt’s favourite sites and we can see why. This post is about how eBooks are a great for Content Marketing. 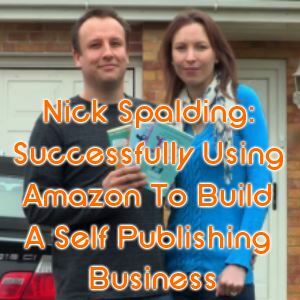 There is an excellent SlideShare presentation of one of TopRanks very own eBooks and you will see that a successful eBook comes down to putting in a lot of work on the design, layout and content. Their eBook has had over 85,000 views. Now that has some serious potential to drive traffic to a website! EBooks are powerful, there are so many ways to share them these days and they can be read on so many different machines so if you are wanting to use content marketing as part of your business then you really should consider creating an eBook or two for your business. 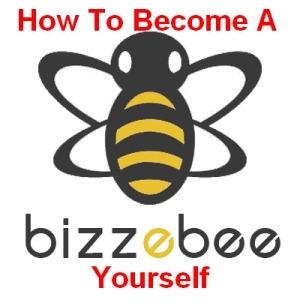 This is a great post from my blogging friend Ben Barden over at his QuickBlogTips.com site. Ben is great for giving productivity and time management advice and this is another fine example of one of his great posts. What I love about Ben and his site is that as the name suggests, he gives Quick Blog Tips which means he is straight to the point and doesn’t fill his articles with fluff and filler. All of his posts though are full of great information and you do leave feeling like you have learned something. Pop over and say hello to Ben and say Andi sent you. Our blogging friend Erik Emanuelli owns a great site called NoPassiveIncome and here is a post he has published discussing 5 excellent link building tips. If you are blogging then you must know by now that search engines work similar to political systems and that a backlink is a vote of confidence. The more backlinks you have from reputable sites can help to throw your website up the search results. It is no longer about the amounts of links you have and more on the quality of the link and that can be similarised to having a celebrity endorse your product, service or site. The more recognised, reputable and trustworthy the person is seen the better the result and same goes with backlinks. Pop over and read up on 5 great backlink methods that are working well this year. They say that to be successful you need to study successful people and one of the best ways to get information about successful people and their habits is to visit the popular success.com website. This is an excellent post about time management. Apparently the best way to manage your time is to do Event Management. ‘If you don’t know what’s important to you, you will do the things that aren’t’. Who can identify with the statement above? I can, I was terrible for watching the same old TV over and over again. If you do not know what you want to do, you will certainly end up wasting time doing things that will not benefit you. Another one of our favourite bloggers and marketers is Yaro Starak, here we have something a little different. It isn’t an article on his site but one of his newsletters that he has uploaded to his website and shared. It is about mindset and asks the question, what would you do if you were earning $20,000 a month? For many people they do not see it as possible unless they won the lottery and they are generally surrounded by people who think the same. So if you want to walk through the door to wealth then you will need to see the door first and we suggest you read this great newsletter to help change your thinking habits. This post was put forward by Sam and come from the BloggersMakeMoney.com site. Written by Wade Harman, this article discusses the art of creating an emotional response in people. Emotional marketing has been around for years. 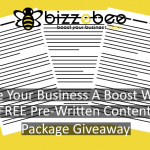 Copywriters get paid thousands and thousands of dollars to write enticing and exciting copy that drives desire and makes the reader respond by buying products. Wade discusses ways to create emotional response with your social media updates using powerful words such as ‘How’ ‘Why’ and ‘When’. This is a very interesting read. This is over on the excellent QuickSprout site by Neil Patel. If you do not know who Neil Patel is well he is one seriously successful and clued up person. Here he has had created an infographic about what is required to make the ideal landing page. 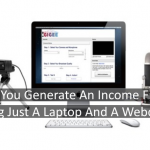 Neil is one of those guys who will know what makes a high converting landing page so please take a look at this if you intend to create some killer landing pages for your business. Ok so now for our fun wildcard article. I had to share this. It comes a week after I was stood discussing with a friend about using drones for business and how it was in its infancy. Then all of a sudden they seem to be everywhere! In Australia a company is testing out delivering text books to students using little helicopters known as drones. This really is exciting and fun. Will the skies be filled with little drones delivering stuff all over the place? It would be great to see but the last thing we need is drones crashing into each other overhead when the skies are filled with them. At the moment I believe it is illegal to use drones in the US unless you are a Government agency as one guy had his photographs taken away from him after using a drone to take them. The video below shows that fast food take away companies like Domino’s Pizzas could soon be using drones to delivery tasty pizza… aggagarr pizza, I love pizza! 🙂 Enjoy your weekend. And thanks for sharing the article at NPI blog. The kind of list you made in this post is always useful. You save time to readers, and you offer them interesting resources! 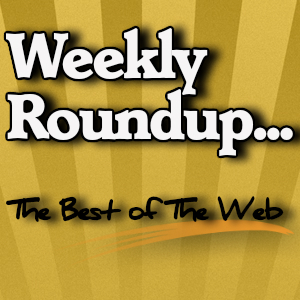 Loving these weekly roundups! Some VERY good posts out there this week! Great list Andi! Some great info here.